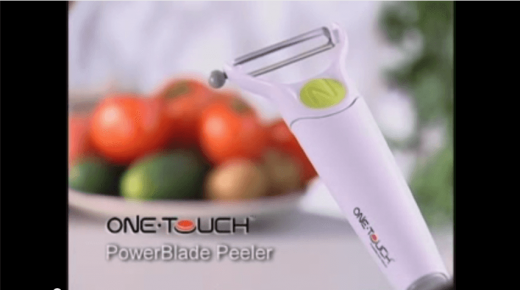 One Touch PowerBlade peeler skins fruit and vegetables in seconds! 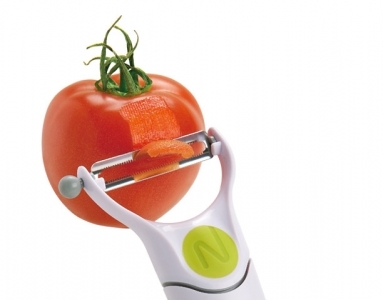 It is extremely easy to use. 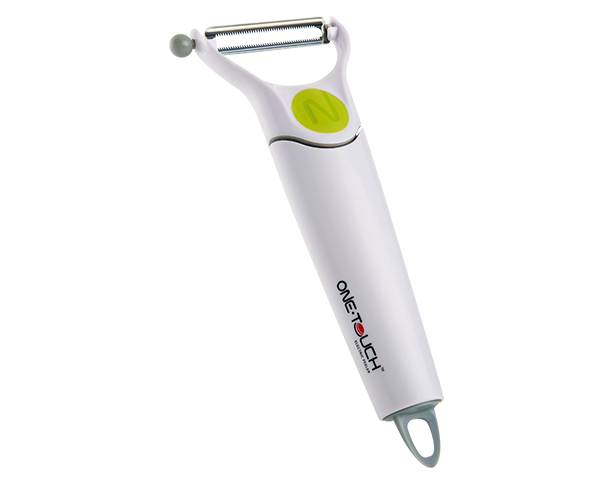 Smartly engineered...with changeable serrated and julienne blades, the PowerBlade Peeler gives you one touch control of efficient, razor fine blades that produce amazing results. 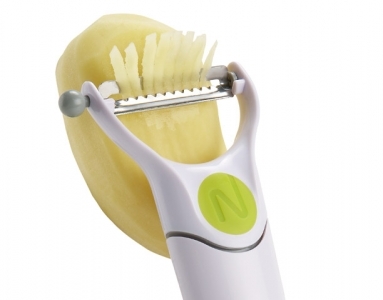 There’s also a built-in eye remover to remove potato eyes easily. It is perfect for anyone with weak hands. 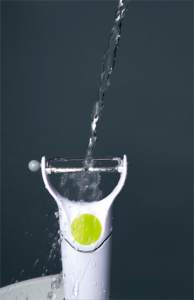 The PowerBlade Peeler is water resistant which makes cleaning easy.